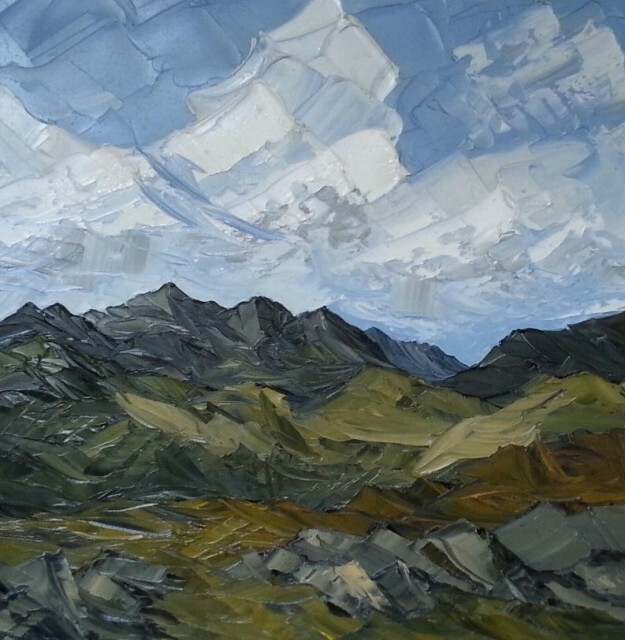 Martin Llewellyn only began painting full-time in 2012, but has already found an enthusiastic audience, with successful shows in Wales and in London. His subjects are familiar, and he is rooted in the traditions of the 20th Century Welsh School. His palette knife is strong and bold enough to catch both the monumental permanence of the landscape: the barely changing line along a ridge, and the patient perseverance of the buildings enduring amongst the mountains; but also swift and deft enough to catch the wind through the leaves and the light at sunset glancing off the incoming tide. His instinctive and straightforward empathy for the North Wales landscape gives his work considerable resonance. Martin Llewellyn was born in Neath in 1963, where he still lives and paints. He has had sell out exhibitions with us in 2015. 2016 & 2018 . Martin will return again in May 2019.